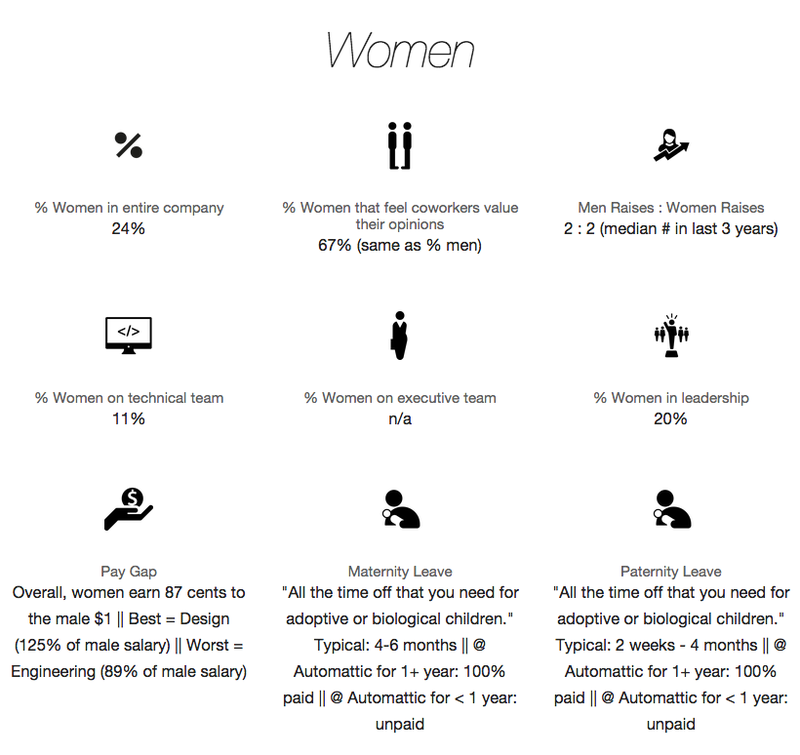 Women in the tech sector hear stories about sexist behavior and share it in their circles. But it's hard for them to know which companies are doing it right — and there's little data to back it up. "People sort of grumble and know where they don't want to go, but they don't know where the good places are yet," said Nathalie Miller, founder and CEO of Doxa. Miller decided to address the problem by launching Doxa as an OkCupid-style matching website and analytics tool to help women find companies that fit them. She hopes the result will be more women choosing to stay in the tech industry. Women are 45 percent more likely than men to leave the industry within a year, according to a report from the Center of Talent Innovation. "There's a tremendous problem of attracting and retaining women," Miller said. "They're not just bouncing out of companies, they're bouncing out of the entire sector and not coming back." 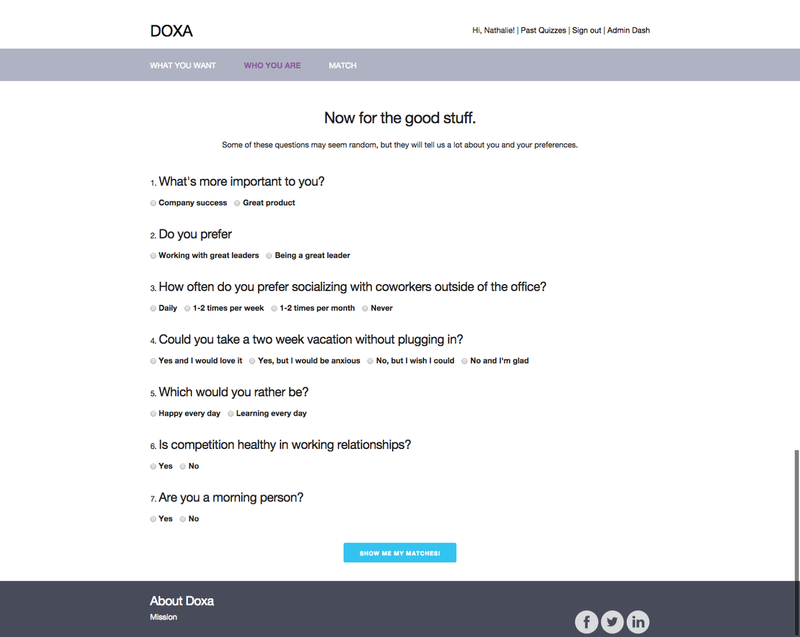 To match women to female-friendly companies, Doxa surveyed companies' employees for information not only on average age or happiness, but also on pay gaps, maternity leave, and whether women think their opinions are valued. The quiz asks what kind of company you'd want to work for — a nurturer or a rocket ship that's exploding in growth, perhaps — and then asks about your working style and values. Then it matches your answers with data from the companies in its system. Doxa has 10 startups already on board for the launch, including Automattic, DoubleDutch, Eventbrite, Keen, Kiva, Lyft, Medium, Shyp, TaskRabbit and Miller's former employer Instacart. Right now, the personality test is the only user data it collects — it can't match you to specific openings based on your skills. But Miller said that the site will eventually pull in your LinkedIn experience, since that is how you sign in, and will be able to match you beyond the company level down to a job-specific one. "Right now, it's like a simplified OkCupid," Miller said. "If you're in communications, and you do match the backend engineering team, that might be not a match made well." I took the quiz assuming I would be matched with Instacart or Lyft because those are the two products I use most. I was surprised to find out I was a 100 percent match with Automattic, the makers of Wordpress. Doxa does have an uphill climb if it wants to dethrone Glassdoor and LinkedIn, its two most visible competitors. Miller, though, sees LinkedIn as the connection tool, and Glassdoor as a reviews site. Doxa, she argued, is what's going to connect the two. "The difference is that we're really trying to match individual job seekers," Miller said.